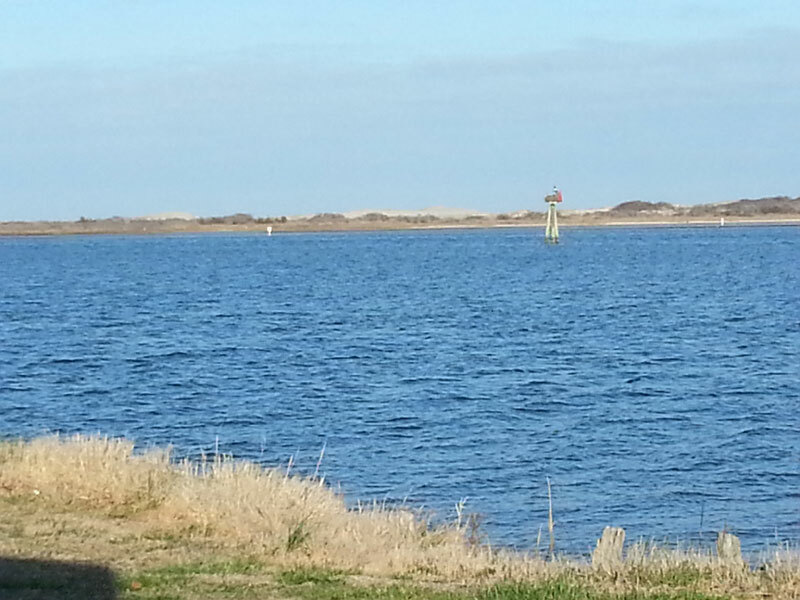 The good news about camping in OCW (Ocean City West) in mid-April, is that there is no one around. The bad news, is that there is no one around. Restaurants are not open, deli’s and coffeehouses are closed, and just about every place we ride our bike — the ‘Closed’ sign appears. 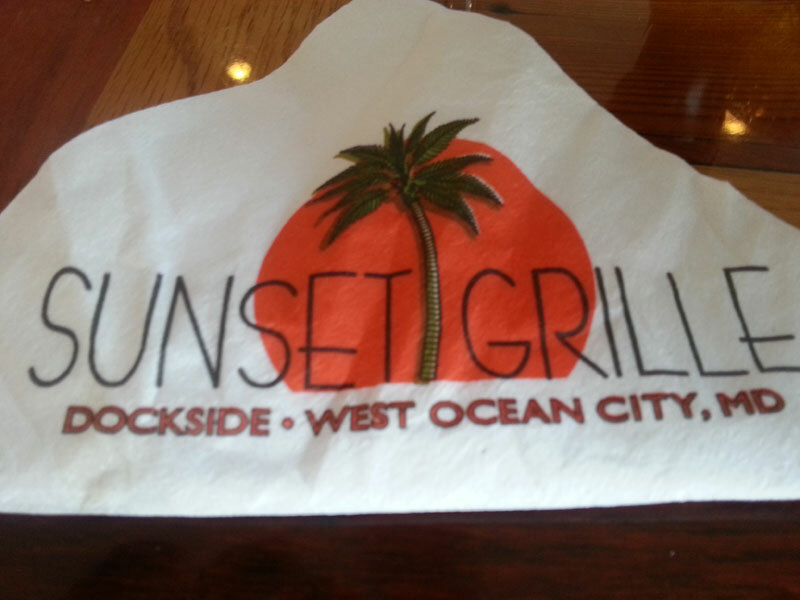 Yet, we were determined to make the best of the good features of desolate Ocean City. We have the CastAway campground to ourselves – which includes the shower & bath house. 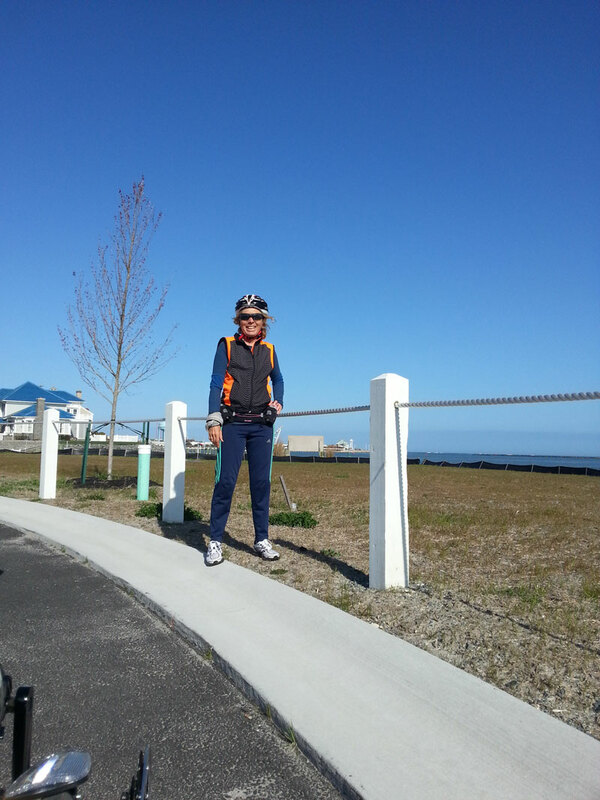 The main roads are mostly empty – which is good news for our day 1 bicycle ride to Assateague Island National Seashore Park entrance. 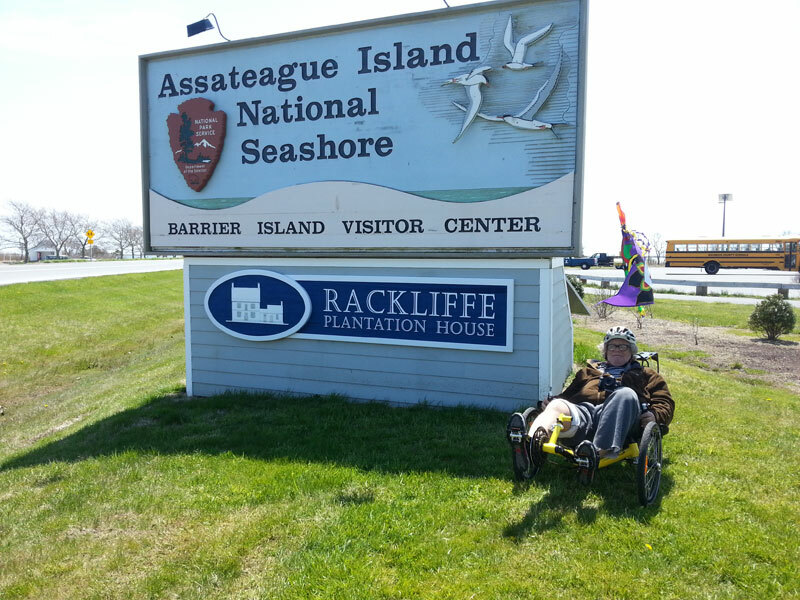 With Sparky (Paddy) on his CatTrike, and me opting for the hybrid bike – we took off for a wonderful ride along lightly traveled Route 611. 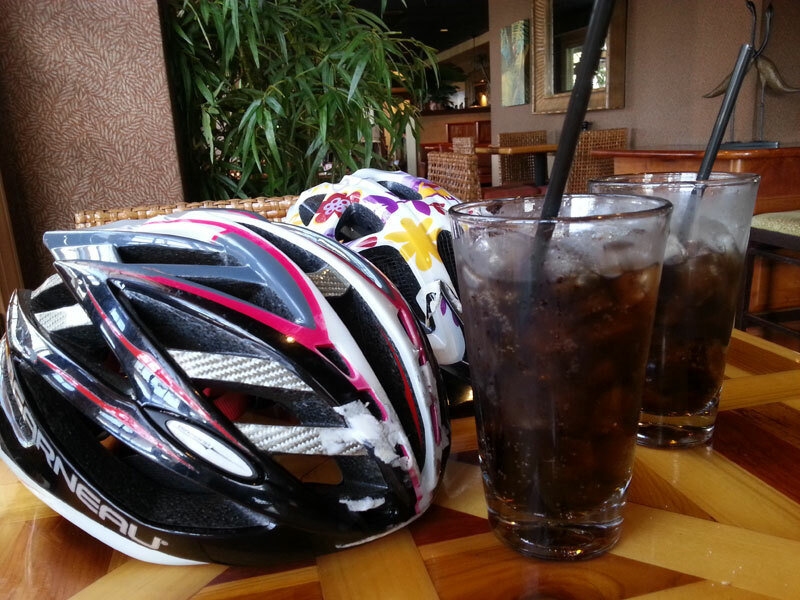 “Don’t worry Sparky – we’ll stop for lunch along the way“, I proclaimed with confidence. After all, I’ve biked or skated this route numerous times, and know that there are deli’s and restaurants along the way. But no. Not in mid-April. Everything is closed. So, we passed all of the closed eateries, made it to the State Park – feeling ravenous. 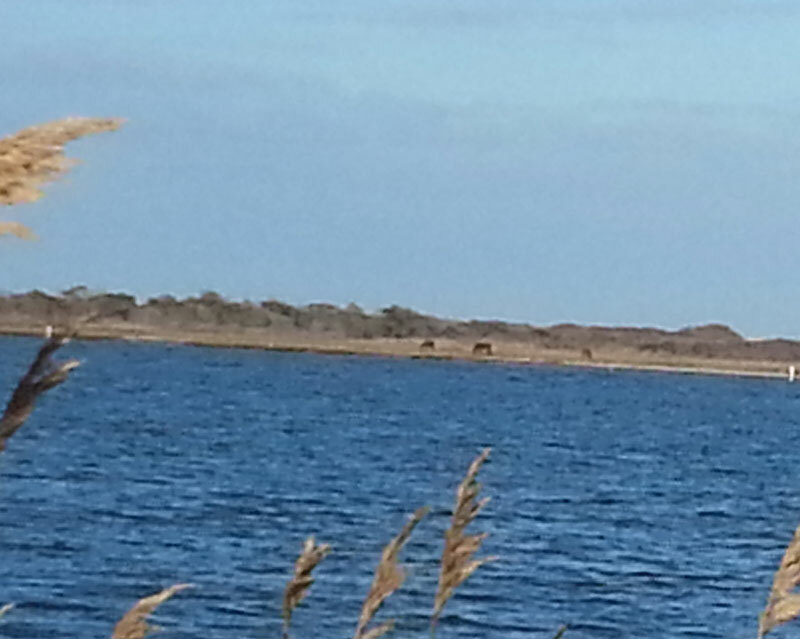 It was one of the fastest visits to Assateague Island National Park. A quick hello and goodbye to the wild ponies (wherever they are), a quick snapshot of pics to prove we actually made the ride – and a high speed u-turn to make a beeline for the one and only open restaurant (Sunset Grille) in the opposite direction. All bets are off when I get hungry. We have no time to lose to find food. 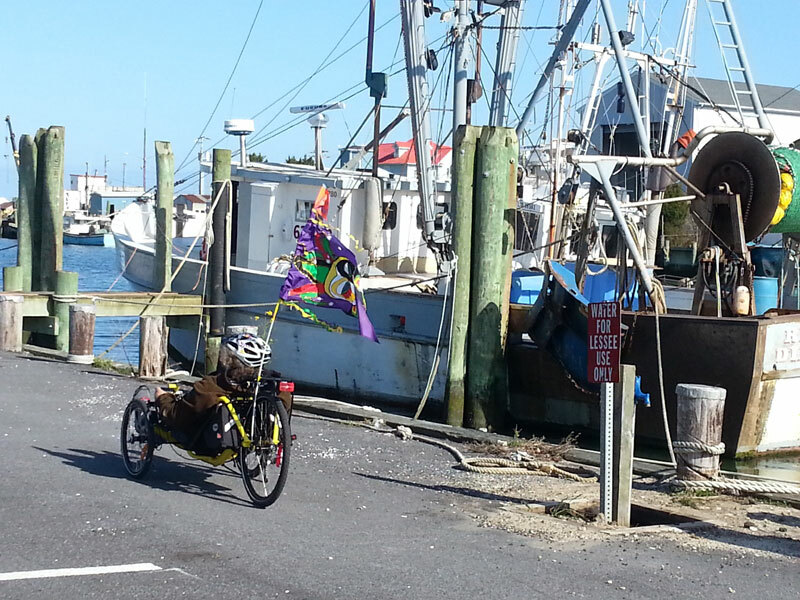 With luck on our side, the wind gods gave us a tailwind – and 1 hour later – the bikes were locked, we were seated with the locals, and lunch was served. Feeling energized from the food, we bicycled back to our campground, where I spent the remainder of the day enjoying the views from our private, waterfront campground, drinking hot green tea with ginger. Sparky was busy hanging with the cable crews & electricians. Apparently, an hour before we made our campground debut, one of the few campers, a rookie RV camper was exiting his site. 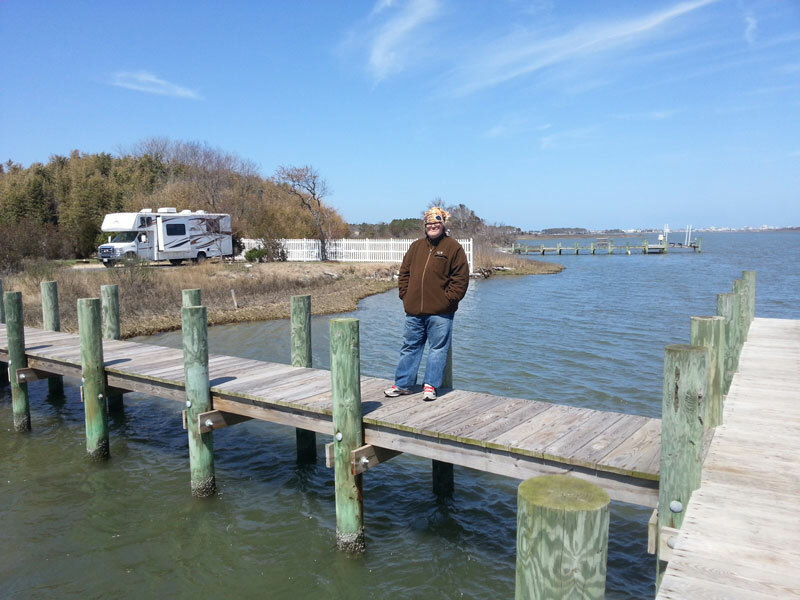 The story goes – he had a 40+ foot rig, and this was his first camping experience as an RV’er. As he turned to leave his campsite – he cut the corner a bit short, hit a transformer – and caused a 10 foot fireball, explosion and nixed all the electrical and cable in the entire campground. Electrified the ground – and thanks to this excitement, the team of cable and electricians – are the only people we see at the campground. As a camper, I’m OK without TV, and really like the idea of setting my digital devices aside. In my mind, I’m going ‘dark’, leaving all technology behind, but reality necessitates that I check in with my clients at least once in awhile. Sparky, noticing all of the cable peeps in our campground, got to thinking how nice it might be to have ‘cable’ TV from the RV (we only have analog). Since no stores are open, and we needed a ‘cable’ to have ‘cable TV’, Sparky thought — ‘hey – maybe one of these cable guys will have a cable‘? That Sparky. Always thinking. Before the crew left for the day — we invited the boys to our RV for tea and biscuits (how British of us eh?) , and Sparky ended up with a cable, from the cable guys. Later that evening, we watched cable TV! Such luxuries!